The resort of Gerlitzen is located in the very heart of the Carinthia region, which is renowned for its beautiful alpine lakes, magnificent mountain ranges, and stunning scenery. Translated from the Slovenian name for 'Fire Mountain', Gerlitzen stands at a proud 1,911m, with a variety of winter activities available at the resort, including skiing, snowboarding, and cross-country skiing, available on over 41km of slopes, and 15km of ski routes. Overlooking the beautiful Ossiach See, the state’s third largest lake, Gerlitzen is comprised of a number of picturesque villages and towns clustered along the lake’s borders, including nearby Annenheim, a popular village boasting direct access to the ski slopes, and with an abundance of traditional restaurants, bars, and shops, attracting residents and visitors all year round. During the summer months, Gerlitzen is a popular resort for watersports enthusiasts, with hiking and cycling available inland, and local tourist attractions within easy reach. Gerlitzen is a popular resort with both residents and tourists due to its ideal seasonal climate, year-round activities, and beautiful scenery. In addition to the many winter sports available in Gerlitzen, Ossiach Lake provides a variety of watersport activities during the summer months, making Gerlitzen a highly attractive resort for investors due to its year-round popularity with both national and international tourists, and locals alike. With far reaching views across the quaint towns and villages of the Carinthia region, the resort of Gerlitzen is just a short distance from the city of Villach, which is easily accessible by either car or train. The seventh largest city in Austria, with a population of 61,887 as of January 2018, Villach is renowned for its long history which stretches back through the centuries. Villach is a thriving city of culture and prosperity, ideally located, and known as 'The Gateway to the Alps and southern Austria'. Gerlitzen is a dual-season resort, drawing a steady flow of visitors to the region throughout the year, making it an ideal area for investors. During the winter months, skiers and snowboarding enthusiasts have their choice of over 42km of well-groomed pistes, with 12km of easy rated, 27km of intermediate rated, and 3km of expert rated pistes to explore. For the complete novice, there is also a beginner’s area, with ski tuition available for adults, as well as the “Bino Bear” ski school for children, providing gentle and encouraging tuition to teach the basics of skiing for younger enthusiasts. In addition to the ski slopes, there is also a popular snow park for snowboarders, and 12km of scenic cross country trails to explore. 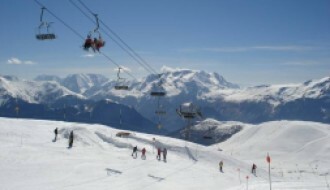 There has been recent investment in 3 new ski lifts to the resort, with broad scope for further investment opportunities. 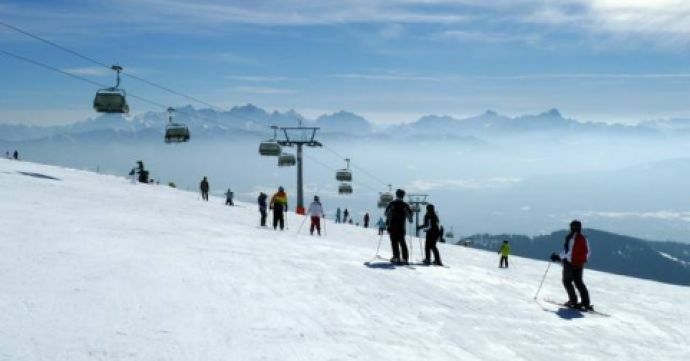 The resort is facilitated by 18 ski lifts and chairs, with the majority of them leading up to the peak level at 1,911m where visitors can pause to absorb the breath-taking views. 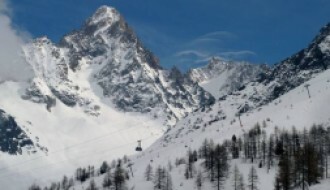 With free parking facilities for 3,600 vehicles, the ski resort is easily accessible by car. Visitors can take a break from skiing to relax on one of the many terraces located around the mountain where they can enjoy a delicious and reasonably priced meal as they take in the breath-taking views. If all of the many slopes and trails of Gerlitzen are not enough, the nearby resort of Bad Kleinkirchheim, with 103km of slopes and runs, is just a 30-minute drive away. 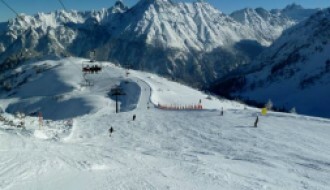 For more information on this neighbouring resort, please see our resort guide to Bad Kleinkirchheim. During the summer months, visitors to the area can enjoy the wide range of activities available on the lake including fishing, sailing, water-skiing, parasailing, and swimming - even scuba diving. The waters of the lake are a consistently pleasant temperature due to the high levels of sunshine, making it ideal for swimming. Inland, there is a wealth of hiking and cycling trails to take in the beautiful alpine scenery, as well as nine golf courses for the golf enthusiast. The Gerlitzen region enjoys comfortably mild summers, and winters with consistent levels of snowfall, drawing visitors all year round. Gerlitzen receives on average of 2,010 hours of sunshine annually, significantly more than in many other European resorts, spoiling its residents and visitors with bright blue skies and year-round sunshine. The winter sports season runs from approximately the end of November through mid-April, with live updates available 24/7 at our Gerlitzen ski resort guide. The resort is serviced by state-of-the-art snowmaking equipment, with 120 snow canons servicing 95% of the slopes, guaranteeing snow to ensure a reliable ski season, whatever the weather. Gerlitzen is highly accessible for both local and international travellers, making it an ideal destination for both short breaks and longer stays. The roads are modern and well signposted for easy travel, making the resort very easy to reach by car or coach, and with free parking for up to 3,600 vehicles, parking will not be a problem. A regional train links the city of Villach to nearby Annenheim, which is located directly at the base station of the Kanzel lift, making it highly convenient for users of public transport. For international travellers, Klagenfurt Airport is just 45km distance from Gerlitzen, just 30 minutes’ drive by car. With excellent transport links, year-round tourism, and a thriving infrastructure, it is clear to see that buying a property in Gerlitzen is a smart investment.